Thanks to Andy Johnson for this photo. In 2008 as a tribute to the historic achievements of the Hunslet team in the 1907-08 season and to perpetuate the memory of the great occasion Wm. 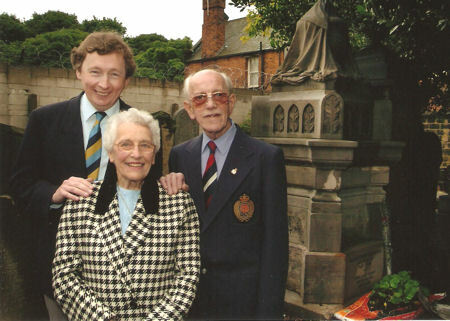 Dodgson & Son (Funeral Services) in conjunction with M A Clarke & Son (Memorials) refurbished the memorial stone which stands in Hunslet Cemetery. It was cleaned and re-lettered and will continue to stand as a fitting tribute to the memory of Albert Goldthorpe and his team. Albert's family would like to thank Wm. 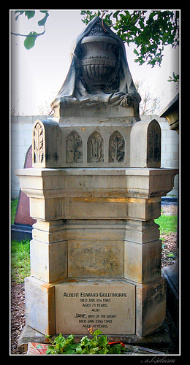 Dodgson & Son for instigating the project and also M A Clarke & Son (Memorials) for carrying out the restoration.